Autumn is from far my favourite season of the year for one simple reason: dark lips. Yes! 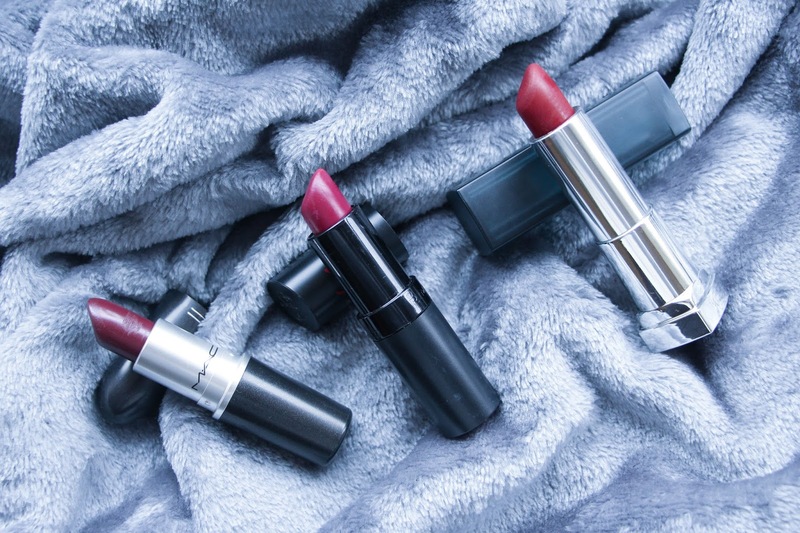 Who doesn’t love to take a brake from the bright coral, pink, red lipsticks and swap to the burgundy, plummy beautiful dark lipsticks during this season? I know I do. 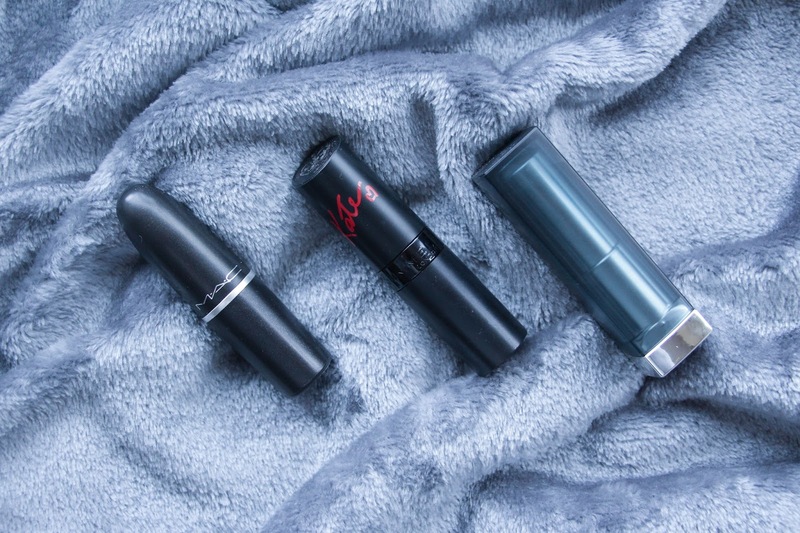 So today I bring to you my Top 3 dark lipsticks for Autumn/Winter. I am one of them girls that doesn’t like to spend a lot of money in only one makeup product so, most of my lipsticks are drugstore. But I do love the MAC lipsticks so every now and then I buy them online or at Manchester Airport because I don’t have any MAC store here in Blackpool. My first in this Top 3 of Autumn/Winter lipsticks is MAC Cremesheen Lipstick in Hang-up. It is a very, very dark berry purple shade lipstick that will give you that gorgeous vampy look that I love during these seasons. The finish is very dewy and it glides on your lips making it very easy to apply. I love that although it is a very dark shade, it still looks sophisticated and it does make my teeth look whiter and I love that too. I have to admit that it doesn’t last too long probably due to his cremesheen formula so you do have to touch up a lot but that is not something that really bothers me. I normally pair this lip with a very simple makeup as the lipstick itself is quite bold. A very simple and natural brown smokey eye will look great with this! My second pick is Rimmel’s Lasting Finish by Kate lipstick in the shade 30 (£5.49). This was one of my first dark lipsticks that I bought and I still love it loads. It is, again, a berry shade lipstick but with a touch of red going on that makes it lighter than the MAC Lipstick. It is more of a matte lipstick formula and I think that because of that it lasts a bit longer on your lips than the MAC one, even when eating. The application is also quite smooth and easy although the formula of this lipstick is more drying than the previous one. Again, being quite a strong lipstick I always pair it with quite a simple makeup look, specially if I am wearing this lipstick at day time. Anyways it is a lipstick that I absolutely love and totally recommend you getting it! Last but not least, the favourite of the three. Maybelline recently came out with a matte lipstick collection that I adore! I have two from this collection and I want more. My top favourite dark lipstick for this season has definitely been Maybelline Matte Lipstick in 975 Divine Wine (£6.99). 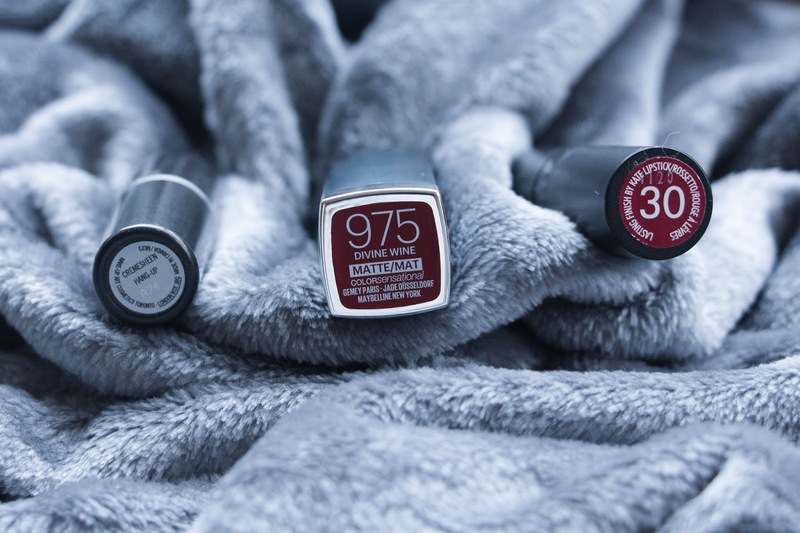 It is a perfect burgundy red lipstick more than perfect for this season. It goes with any look that you would like to wear or any eyeshadow too. Go bold or simple, you will kill with this lipstick. The formula is again quite drying but the application is so so easy! I was actually very surprised on how this lipstick just glides so smoothly on your lips knowing that it is a matte formula. It lasts quite long as well but you do need to touch up throughout the day specially if you are going out for a meal or something. But I guess most of the lipsticks are like that and that doesn’t bother me at all. Maybelline Matte Listick Divine Wine is definitely my favourite and most used lipstick this fall/winter. I love it! What is your favourite lipstick for this season? Do you prefer nudes or just go bold with the dark lipsticks? Let me know in the comments bellow.